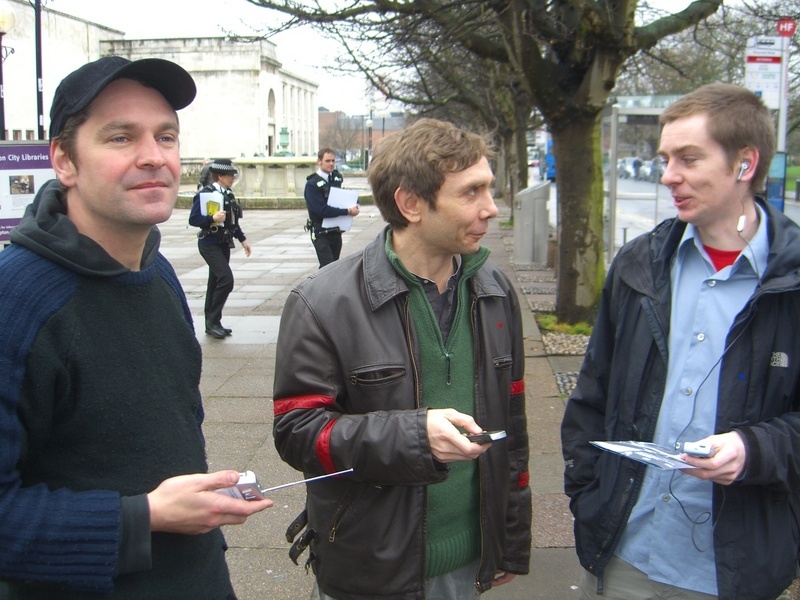 Hivenetwork crew, from left to right: Wolfgang Hauptfleisch, Alexei Blinov, Cieron Edwards. Do they look happy? Yes. Are they tired? I guess so, especially Wolfgang who had to come down to Southampton the day before to solve some last minute problems.